Here's the "love and life" collection from Anita Dongre, showcased earlier this month at Lakme Fashion Week Summer Resort 2011, in India. 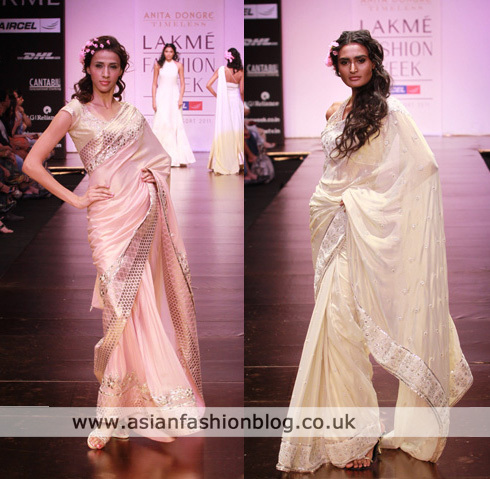 Thie was another light coloured collection, but unlike the Opulent and Chaste collection by Debarun Mukherjee, there was more of a glamourous feel to these outfits. 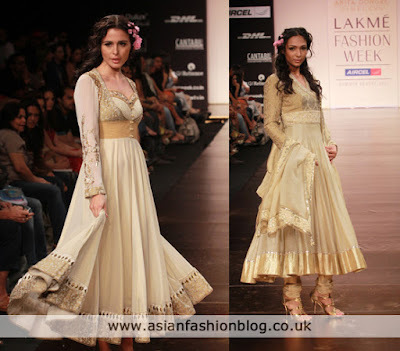 As you can see there was a good mixture of outfits from maxi dress gowns to saris and lehngas. 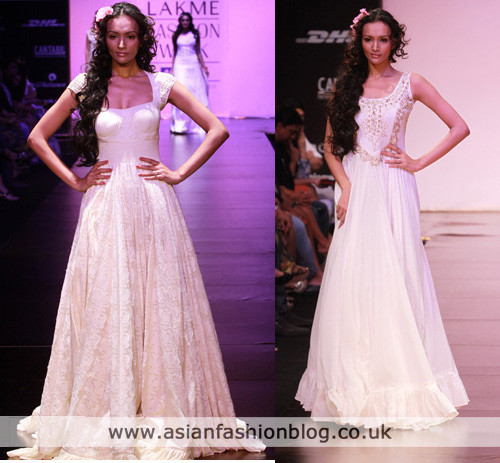 I definitely felt there was a romantic/feminine vibe to this collection. I liked the hairstyling although I felt the pink flowers didn't really work with every outfit. 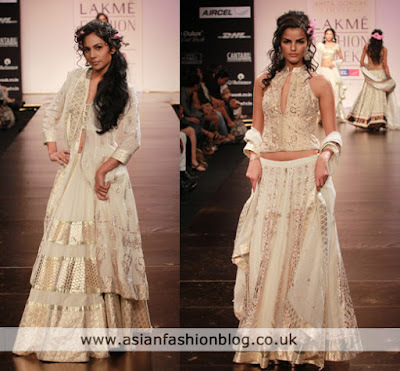 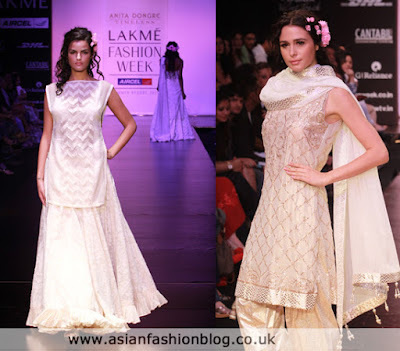 You can view more of this collection and from other designers at the Lakme Fashion Week website.